Most parents want their children to get on well in life and it is more important than ever to have a good education behind you if you want opportunities in adult life. 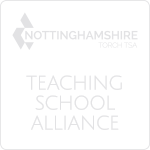 Children only get one chance at school, and your child’s chances of a successful future may be affected by not attending school or alternative provision regularly. Miss out on the social side of school life. Poor attendance can affect children’s ability to make and keep friendships, a vital part of growing up. Setting good attendance patterns will also help your child later on. Employers want to recruit people who are reliable. Children who have a poor school attendance record may have less chance of getting a good job. Being on time is vital. Arriving late at school can be very disruptive for your child, the teacher and the other children in the class. Students should arrive in school before 8.45am. Registers close at 8.55am. Any students arriving after 8.45 will be recorded as an unauthorised absence. 5 late marks after registers have closed in any 6 week period could result in a £60 fixed penalty fine or a summons to court. Once your child is registered at a school you are responsible for making sure he or she attends regularly. If your child fails to attend regularly - even if they miss school without you knowing - the Local Authority may take legal action against you. The Local Authority Education Welfare Department is responsible for making sure that parents fulfil their responsibility to ensure their registered children regularly attend school or any alternative provision provided. 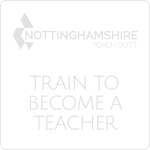 They can be contacted on 0115 8762965 or educationwelfareservices@nottinghamcity.gov.uk. If you think you may need to take your child out of school, discuss the reasons with us as soon as possible. Of course there may be times when your child has to miss school because they are ill. This is to be expected and for this you should follow the school procedure for notifying illness. Children may also have to attend a medical or dental appointment in school time. However, you could try to make routine appointments, such as dental check ups, during the school holidays or after school hours. Any absences must be requested as far in advance as possible and can only be authorised by the school. The Suthers School treat every application for leave of absence on an individual basis; however, school will not authorise absence for the reason of a family holiday unless there are exceptional circumstances. As a school we are responsible by law for reporting poor attendance to the Local Authority Education Welfare Department. 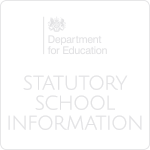 As a parent, you are committing an offence if you fail to make sure that your child attends school regularly, even if they are missing school without your knowledge, and may be issued with a penalty notice or taken to court. Parents can be fined up to £2,500 or imprisoned . Magistrates can also impose a parenting order, which means that the parent has to attend a counselling and guidance programme and parenting classes. Research has shown that children who are not in school are the most vulnerable and are easily drawn into crime. Those children who play truant are more likely to offend than those that do not. The following graph shows the link between percentage attendance and GCSE grades 9- 4. The higher the attendance percentage the higher the GCSE grade. If you suspect that your child may be missing school or is unhappy at school, you should contact the school as soon as possible so that you can work with them to resolve any difficulties. Make sure your child understands that you do not approve of them missing school, but be on the alert for any particular reasons for non-attendance, such as problems with school work and discuss these with the school. If your child is ill or absent for any other reason, contact the school on every day of absence by 8.45 am on 07701008064. If your child is attending a medical appointment during the school day, you can notify the school by emailing contact@thesuthersschool.co.uk or writing a note in your child’s planner. Make sure that your child arrives at school on time. Take an interest in your child’s education. Ask them about their day and praise and encourage their achievements at school. If parents need to request a leave of absence for their child during the school term please download and complete the form below.